Hi there, my name is Artemakis Artemiou. I love talking about SQL Server, .NET and related topics and make it easy for all to understand, by using a simple and understandable language. This has been the motto for my entire career, over the past 15 years: "Keep things simple". I spend half of my time working with SQL Server and .NET, by administering SQL Server, applying advanced performance tuning techniques, developing ETL processes and other procedures for automated tuning, administration and reporting, as well as suggesting sophisticated SQL Server architectures that can efficiently serve large enterprise systems with terabytes of data. I spend the other half of my time in several community activities in the SQL Server and .NET communities. I blog a lot, I write technical articles for prestigious worldwide online journals such as MSSQLTips, Simpletalk and SQLShack, I write software tools, eBooks, and more. I’m here at Udemy to share my expertise in an exciting, interactive way, and teach a large selection of amazing topics on SQL Server, .NET and related technologies and trends. I am a Senior SQL Server and Software architect, I have been a Microsoft Data Platform MVP for 9 years (2009-2018) and I’m the founder of SQL-Net-Hub and Tech-How-Tos. Among other, I’m the creator of the well-known software tools Snippets Generator, DBA Security Advisor and In-Memory OLTP Simulator. 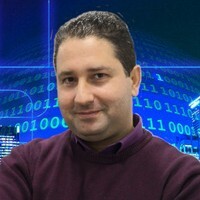 Also, I currently currently serve as the President of the Cyprus .NET User Group (CDNUG) and the International .NET Association Country Leader for Cyprus (INETA).